There are many foods that contain citrulline and have many benefits. If you want to learn more about Citrulline now we speak of this compound in a previous post. As shown by several studies, when amino acids citrulline and arginine are combined, the cells of our body are stimulated to produce a beneficial gas called nitric oxide. This gas can reduce blood pressure and cholesterol. Citrulline helps reduce lactic acid and ammonia in the muscle tissues avoiding tiredness and feared stiffness after a long workout. It increases energy and helps the immune system. You should always talk to your doctor before you begin a new regime of diet that includes this supplement. Natural sources of citrulline which we’ll talk about now are however safe since the concentration of the compound is relatively low and allows to take them without danger. There are plenty of supplements containing citrulline and that you can take to obtain higher doses but only recommended for highly intensive workouts and with little rest, as we indicated in Fitnessrevolucionario[minuto 11:00]. One of the richest sources of citrulline is watermelon, and the compound is found either in the fruit and Peel. 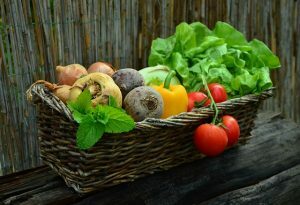 The results of the study by Professor Arturo Figueroa posted in October 2010, the website of the Faculty of Sciences human of the University of the State of Florida indicates that amino acids in watermelon can fight effectively against Prehypertension until it is in cardiovascular disease. In addition to the positive effects of the natural content of citrulline to function and blood pressure, watermelon contains vitamins A, B6 and C, potassium, fiber and antioxidant Lycopene. Other sources of fruits that contain citrulline are cucumbers and other vegetables from the family of melons. Onions and garlic are other foods containing citrulline. The vegetarian website indicates that the garlic and onion are alliums, Greek word ‘garlic’, which help protect the body against diseases affecting the heart, veins and arteries. 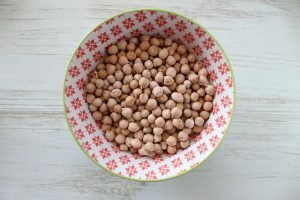 Chickpeas contain citrulline, like peanuts. Soy is another food that allows the body to obtain citrulline. This compound is acquired from foods that help maintain the body’s acid balance. The liver is one of the few foods that contain a high level of citrulline. Salmon and red meat also have this amino acid. Citrulline is needed for the detoxification of ammonia present in the liver, a waste product that occurs after of the process of oxidation in the body. Almonds and walnuts contain citrulline. 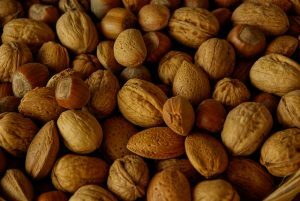 This amino acid is present in high concentrations in the skin and, to a lesser extent, in the pulp of the nuts, according to an article published in 2001 in “Physiology of the tree”. 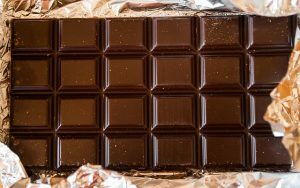 The dark chocolate is another option among foods containing citrulline, so if something sweet strikes you, this type of chocolate can be a good choice.